(also known as Japanese Pumpkin) Popular for its strong yet sweet flavor, similar to butternut squash. 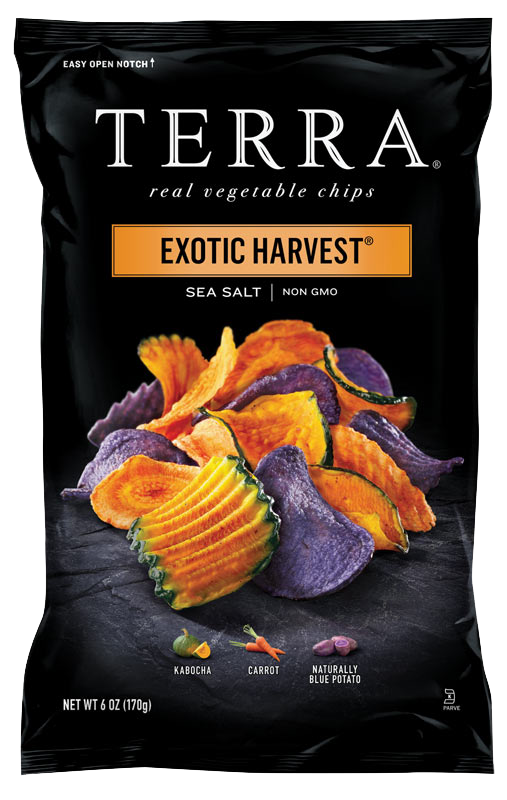 A traditional American root vegetable that contains natural sweetness. It is a domesticated form of the wild carrot. The edible part of a carrot is a taproot. Ingredients: Blue potatoes, carrots, expeller pressed canola oil and/or safflower oil and/or sunflower oil.